Royal Kitchens & Baths can help you design and create the perfect Kitchen, Bathroom or Basement in your Long Island Home. Since 2006 Royal Kitchens & Baths has been the Long Island Kitchen Bathroom Remodel Contractor of choice. We offer Kitchen Remodel, Bathroom Remodel and Basement Renovation Services in Both Nassau & Suffolk Counties. Our Long Island Kitchen Bathroom Remodel Showroom features multiple full size Kitchens & Baths, along with multiple samples & finishes from American Standard, Delta, Merola Tile, Cabinetry Styles colors and more. We also offer a Free In-Home Estimate. If you're looking to design your dream Long Island Kitchen Remodel or Bathroom Remodel, try Royal Kitchens & Baths. At Royal Kitchens & Baths our Kitchen Design process has been taking Long Island Kitchens from old to new for almost 20 years. 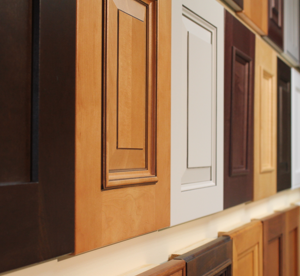 Our full sized showroom helps take you through the design process from top to bottom, Cabinets to Floor to ensure you have the kitchen you have always wanted. Step two in the remodel process – adding some style, pop and contrast to your tile selection. The last step in the design process – choosing the new finishes & accessories for your new kitchen. Your dream kitchen will be ready for remodel – see our other Professionally Designed Kitchens. Below you will find Before & After photos of our Long Island Kitchen Bathroom Remodel projects, along with our Full Sized Long Island Kitchen Bathroom Remodel Showroom. Long Island's Top Rated Kitchen & Bathroom Remodeling company - give us a call for a free in-home estimate.